Right from our birth, our father is our support system, teaching us to take steps, letting us fall so that we learn how to lift ourselves up. Even when we do not see him around we know he will be right there when we need him. He lets us be so that we can learn from our mistakes and he is also there to save us from making blunders. He is the person we can look upto at every step of our life, as we know he has come a long way in life and has an unparalleled experience. When in any doubt we can rely on his advice and suggestion as we are sure that he will be able to give the exact solution. We may grow up but we always need him by our side and even though many a time we do not admit that, but in our hearts we know what our father means to us. He is our real hero! When the world talks about the fictional hero, we know what a real hero looks like because we see a hero everyday of our life. He is our pillar of strength and no matter what difficulties we have in life, he is always there holding our hands to guide us through. Here is a treasure of quotes about all the lovely fathers in the world from their beloved children. 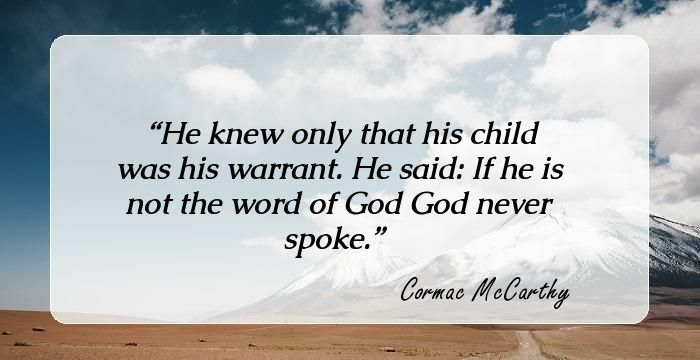 He knew only that his child was his warrant. He said: If he is not the word of God God never spoke. 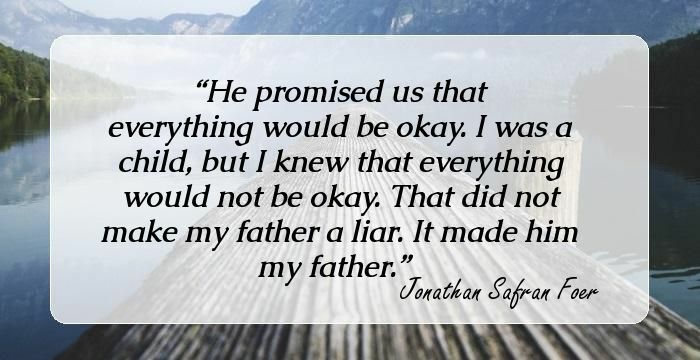 He promised us that everything would be okay. I was a child, but I knew that everything would not be okay. That did not make my father a liar. It made him my father. I am haunted by the ghost of my father, I think that should allow me to quote Hamlet as much as I please. You have my whole heart. You always did. You're the best guy. You always were. The way Magnus' breath had sounded, rattling in his chest, before he'd said his father's name. Mendacity is a system that we live in," declares Brick. "Liquor is one way out an'death's the other. Every Autumn now my thoughts return to snow. Snow is something I identify myself with. Like my father, I am a snow person. You wanted to kill your father in order to be your father yourself. Now you are your father, but a dead father. From that point of view, I realized that my hole was not miles deep after all. My father, in fact, could stand on the bottom and it only reached up to his chest. Darkness, you know, is relative. Bear in mind, children, that they listen to you because you are kids—not because you are right. 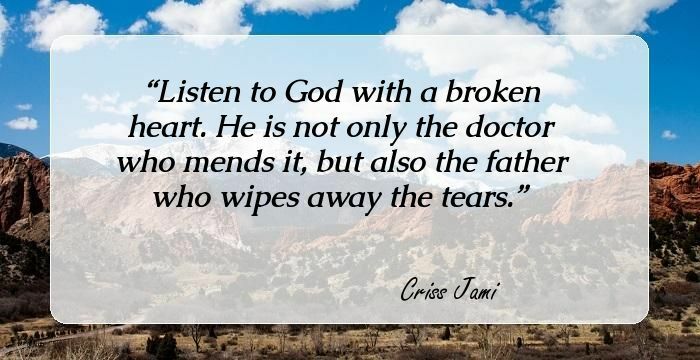 That's how our Father listens to us. I'm bored," she said. "Learn how to tap-dance," he suggested, without turning around. I saw my father as a man, and not, as a man who was my father. Without the support from religion--remember, we talked about it--no father, using only his own resources, would be able to bring up a child. It's rally bad when dads cry. Most of the time, it felt like my father and I were completely different species. Possibly literally, depending on the day and whether or not I actually qualified as human at the time. My father spoke with his hands. He was deaf. His voice was in his hands. And his hands contained his memories. A father's tears and fears are unseen, his love is unexpressed, but his care and protection remains as a pillar of strength throughout our lives. That porch is a happy-looking place, and my father - burdened, stoop-shouldered, cadaverously thin - doesn't seem to belong on it. Just take me with you. Please. I cant. Please, Papa. I cant. I cant hold my son dead in my arms. I thought I could but I cant. I've only just arrived, Kate. It may surprise you to learn that you were my top priority. There's no better cure for the fear of taking after one's father, than not to know who he is. Today I wonder why it is God refers to Himself as 'Father' at all. This, to me, in light of the earthly representation of the role, seems a marketing mistake. [My father] loved me tenderly and shyly from a distance, and later on took a naive pride in seeing my name in print. When you become a father, it changes you." Snorri spoke towards the fire's glow. "You see the world in new ways. Those who are not changed were not properly men to begin with. A true leader is still a leader even when he takes up servants' duty, provided he maintains a human face and added integrity to his self-retained qualities. But my father, a thief in many ways, had robbed me of my concentration. Unlike Elise, who could discover parts of a person they didn't even know were absent, you specialized in tangible, but that, I feared, was only a matter of time. You ask how it is possible to be your own father and son. You should seek answers, although it is better to anticipate some, to be the light and dream. I decided I would go with them, but it would be at my father's house that I would eat. I would share his food, and his poverty. I think Dad wanted to feel the pain, to feel his body cry, an urgent reminder that he was still alive. I pretended not to notice. Non cap�, comprese. Perch� comprendere era di pi�, era un abbraccio, era prendere con s�, era farne parte.